Goji berries aren’t just for baked goods and topping a smoothie bowl. You can easily incorporate them into your savory dishes, too. 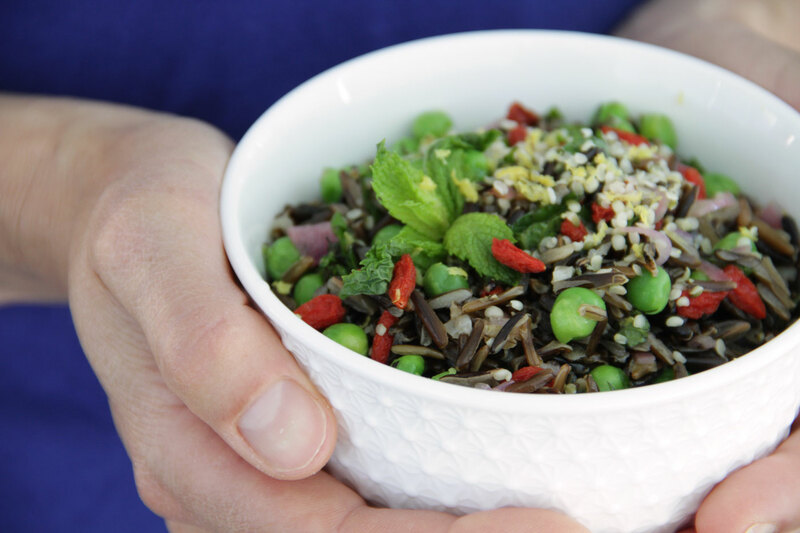 They add the perfect touch of sweetness to finish off this flavourful wild rice bowl. This is a great dish that can be quickly made for lunch or dinner during your busy work week. Even in small servings, goji berries are packed with nutrients that can help promote optimal health. Traditionally, they’ve been used to fight depression and anxiety or other mood disorders. They’re a great source of antioxidants known as beta-carotene, plus other phytonutrients that help protect skin and eye health. Thanks to their ability to reduce blood glucose, regulate cholesterol levels and keep triglycerides at an ideal balance, they’re also shown to prevent heart disease. Goji berries are also believed to increase sperm count and the vitality of sperm. Evidence shows additional goji berry benefits include treating female infertility in patients with premature ovarian failure and the inability to ovulate normally. 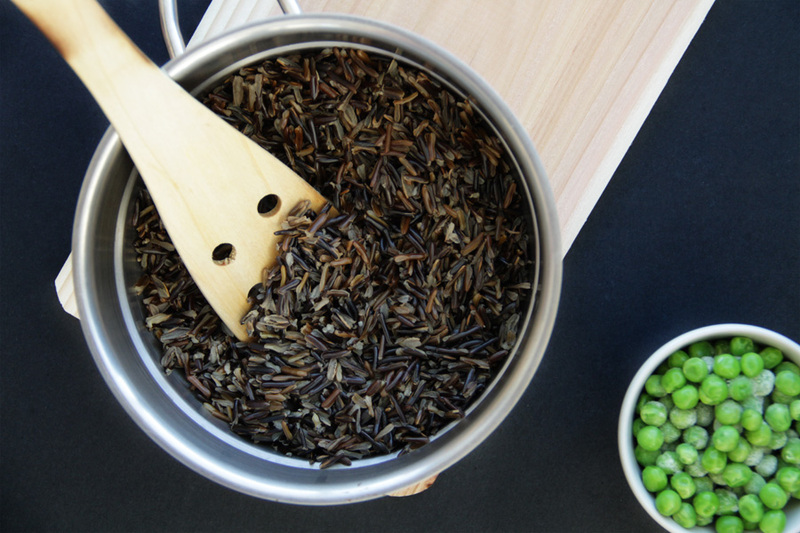 Wild rice benefits include its ability to improve heart health, stimulate growth and repair throughout the body, slow the signs of aging, protect against chronic diseases, prevent the onset of diabetes, optimize the digestive process, strengthen your bones, boost your immune system, and help with weight loss efforts. 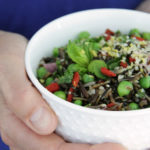 When compared with other whole grains, such as wheat and brown rice, wild rice comes out ahead in the minerals potassium and phosphorus as well as the B vitamins niacin, riboflavin and thiamine. Place the goji berries in a glass jar and cover with warm water. Cook wild rice as directed by package instructions (45-50min). Set aside. Meanwhile heat the coconut oil in a pan and sauté the shallot for 2 min. Remove from heat. Strain the goji berries and wash under running water. Drain well and dry by setting on a paper or cloth kitchen towel. Place rice, along with peas, goji berries, sautéd shallot, salt, pepper, hemp oil, lemon juice and lemon zest in a bowl and stir together. 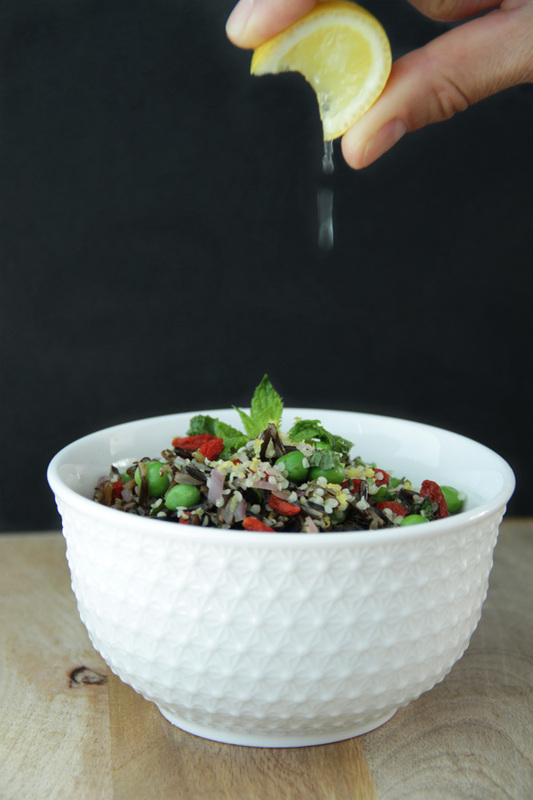 Once in the bowl, sprinkle each serving with 1 Tbs hemp hearts and chopped mint on top.